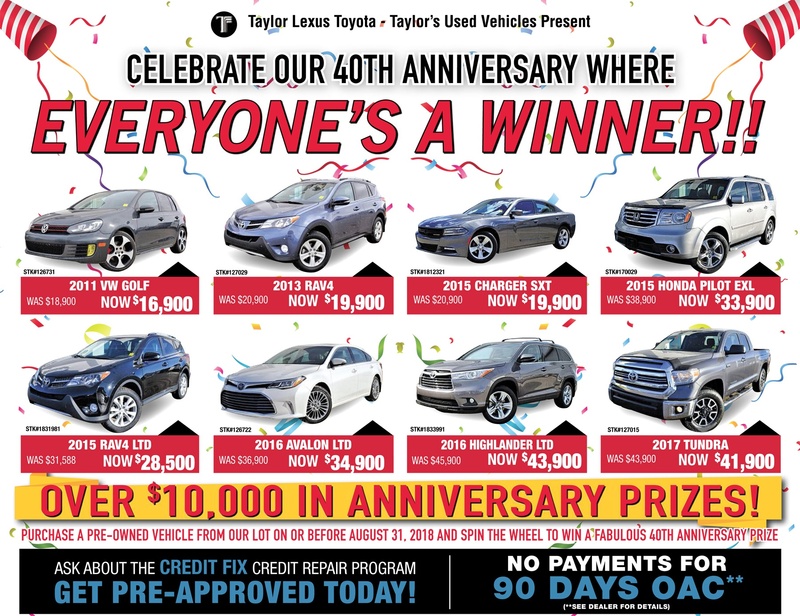 We're giving away some great deals during our 40th Anniversary Celebration. Check 'em out! And remember, if you purchase before the end of August*, you're GUARANTEED a win when you spin the wheel! So, hurry in today!